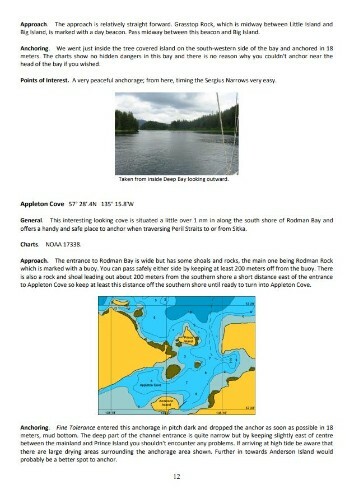 These Cruising Notes cover the area from Prince William Sound to SE Alaska to Vancouver Island, British Columbia, including Queen Charlotte Islands - and southwards. 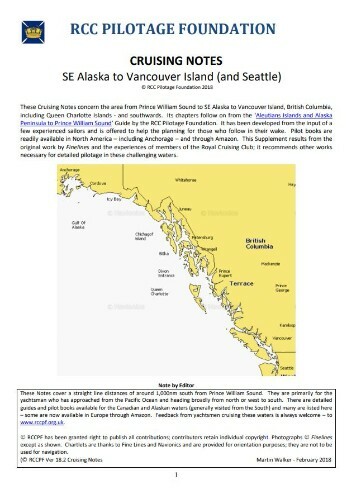 Its chapters follow on from the ‘Aleutians Islands and Alaska Peninsula to Prince William Sound’ Guide by the RCC Pilotage Foundation. It has been developed from the input of a few experienced sailors and is offered to help the planning for those who follow in their wake. 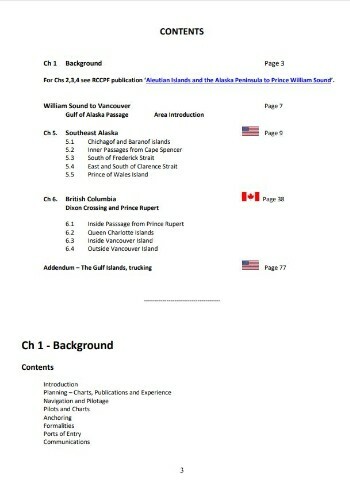 In addition to RCC Members’ reports on, around 300 harbours and anchorages, the works include ‘getting there’ experience (including an Addendum which covers trucking a yacht across North America in order to cruise north from the Seattle area to British Columbia) and advice, lists and links to other useful information.